Our PCM materials represent a new generation of ecologically friendly heat storage materials utilising the processes of phase change between solid and liquid (melting and congealing) to store and release large quantities of thermal energy at nearly constant temperature. Rubitherm® phase change materials (PCM's) provide a very effective means for storing energy at high and low temperatures (for heat and cold storage applications, respectively), even when limited volumes and low operating temperature differences are applicable. We supply a broad range of these raw materials so that they can be used by our customers in the Research and Development of new applications in energy management and energy conservation. These materials are covered by a strong IP portfolio so you can rest assured that your new applications are protected from this point of view. Depending on your requirements, we can usually tailor the critical parameters of raw materials (such as "working temperature", etc) to suit your specific application. We look forward to discussing your particular questions, needs and interests with you. 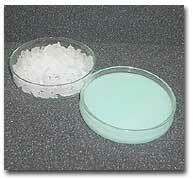 We supply two groups of raw latent heat phase-change materials: organic based and inorganic based. Their main physical characteristics are shown below. 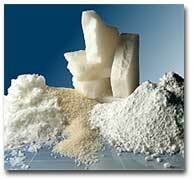 Increased viscosity and density and impeded deliquesce at melting through the use of additives.